It's Flashback Friday. 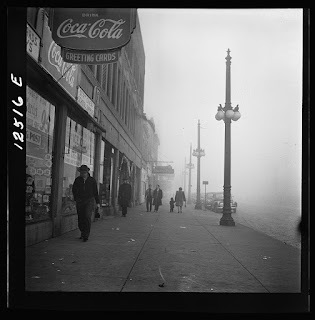 Thanks to the Library of Congress and photographer Jack Delano, we can see what an unusually heavy afternoon fog looked like in December 1942 Uptown, specifically on the 4400 block of Broadway. Must have been mild weather, considering what the people were wearing. We love the streetlights and the brick "paving" on Broadway. The street litter, not so much. A problem 73 years ago, as now. 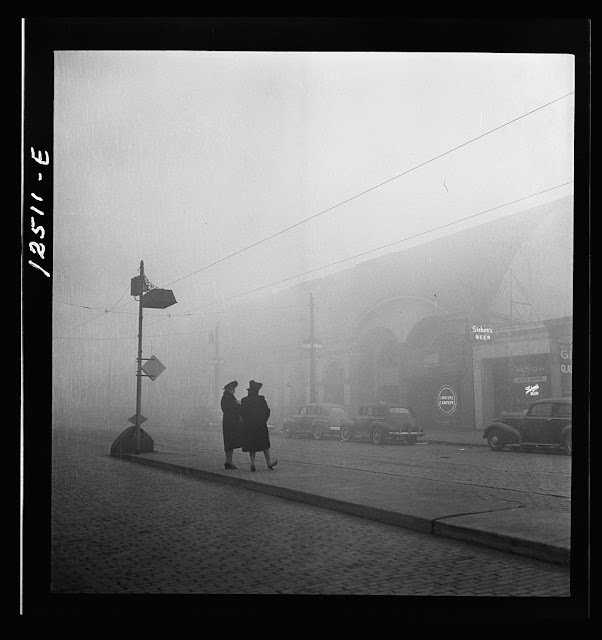 Two women wait in the center median to cross to the west side of Broadway. You can see the old Arcadia Ballroom, which had dancing, live music, and skating, across the street, complete with a bar called the "Skaters Canteen." Target is there now. Looking east from Broadway down Sunnyside. You can barely make out the Illinois Bell sign on the side of the building at 1025 West Sunnyside, which was at that point one of its telephone exchanges. The corner store was occupied by "Dave's Trading Post," which sold cigars, cigarettes, Coca-Cola, snacks, greeting cards, toys and school supplies, among other things. It also offered the services of a notary public and served as a post office. Looking south on Broadway from Sunnyside. Hard to believe this is mid-afternoon. You can just make out the building south of 1025 West Sunnyside, which has been an empty lot as long as we can remember. 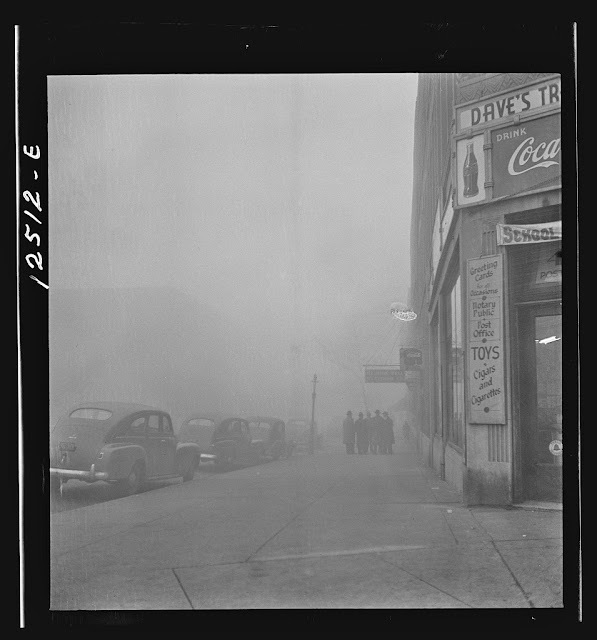 In this photo, the building is home to a tavern. Note to the lady holding the hand of the toddler: Madam, we adore your coat and shoulder pads! Funny to think that the toddler is now in his mid-70s.